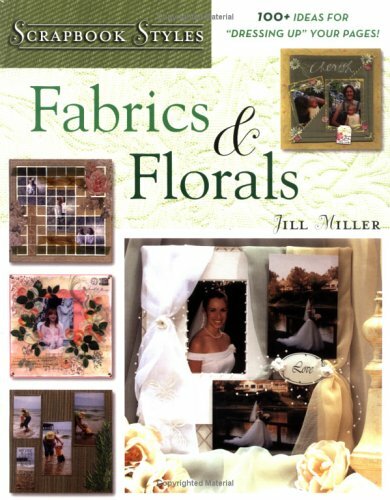 For millions of scrapbookers, how to use fabrics, fabric paints, printable fabric papers, ribbons, silk flowers, and sewing notions. Breaking new creative ground, the second book in the Scrapbook Styles series shows scrapbookers at all skill levels how to use fabrics, fabric paints, printable fabric papers, ribbons, silk flowers, and sewing notions to create absolutely gorgeous scrapbook pages. A virtual sewing store of products-from silks to synthetics, leather to lace, and cotton to corduroy-"dress up" and add a new dimension to both the elegant and everyday themes showcased in this unique book.